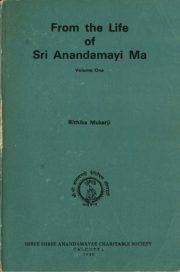 Swami Virajananda had originally written these volumes in Bengali, taking the material from Sri Ma’s own lips.The first 2 volumes are an introduction to the subsequent publications. 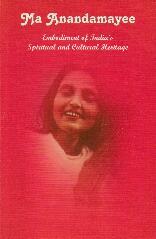 Vol 1 is about Ma’s ancestral lineage, Her parents and Her homes, along with a discussion about Her birth. 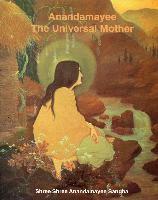 The Vol 2 depicts Her entire childhood Lila, ending with Her entry into Grihastashram (Householder life) including a portrayal of Her unique seva there. 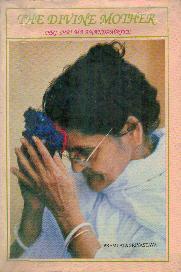 In Vol 3 Ma reveals Her Svarupa. 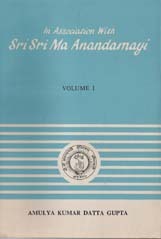 Throughout this volume, there is this revelation that in all the objectives of all sadhanas it is Bhagavan only in those forms.Vol 4 deals in detail with asan, pranayam, mantra. 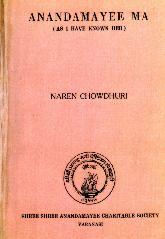 There are 3 Volumes covering the period 1896-1982. 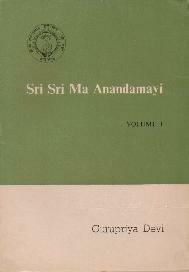 Copies available from the ashram bookshop. 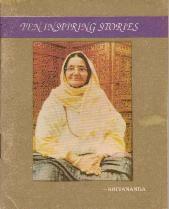 These pages hold an account of the author’s most precious days in her life. 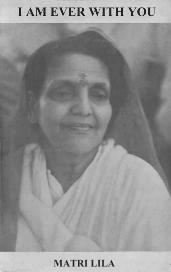 Shraddha and her husband made 7 trips to see Sri Ma in India from 1970-1981. The events that happened are the fabric of this book. 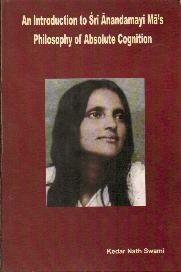 To see edited videos of Sri Ma taken at the time of the trips described in the book – click here. 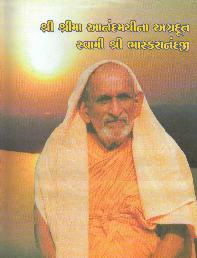 To see the photo album taken at the time of the trips described in the book – click here. 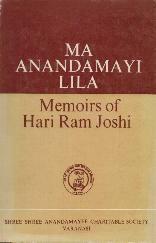 Sri Hari Ram Joshi has written some very interesting facts about the life of Sri Ma in his own style. 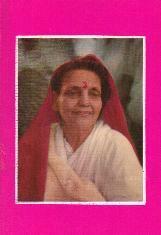 He was an ardent devotee of Sri Ma. 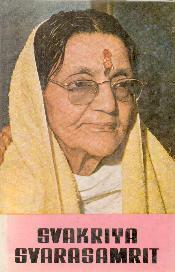 This is an assembly of lectures and papers presented at Mahajati Sadan in Kolkata in 1997 on Sri Ma’s birth centenary. 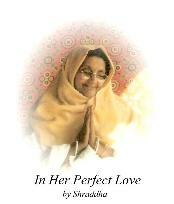 Bithika Mukerji has provided a beautiful and concise summary of Sri Ma’s life, along with selected sayings of Sri Ma. 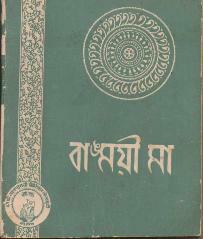 This is a collection of stories told by Sri Ma during Matri Satsangs; translated from Bengali. 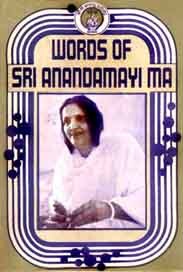 The 2 books are an account of Ma’s last 30 years, including dates, people around her, significant happenings and functions, as well as sayings – much also included in Ananda Varta. 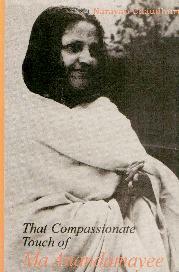 The book is an account of Ma’s early life until she left Dacca, the information mainly being derived from devotees’ diaries. 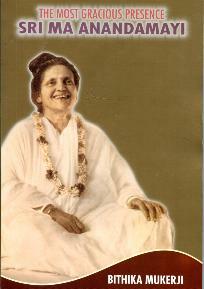 Sw Kedarnath presents Sri Ma’s revelations that occurred spontaneously in her life, and the answers she gave to questions put before her. 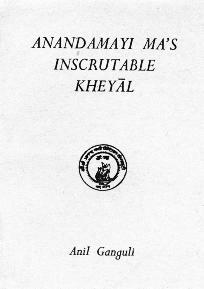 These are the introductory pages; copies of the complete book may be had from the Indore address.